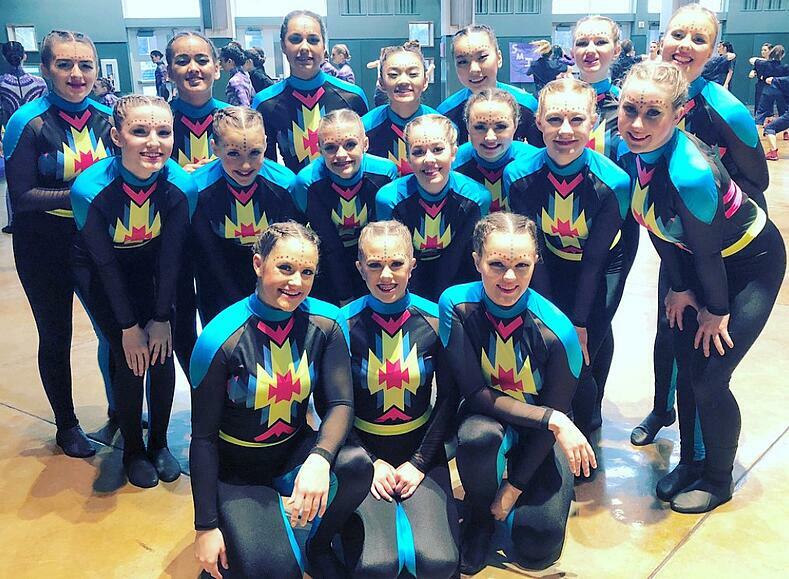 The Capital Cougarettes Dance Team had an exciting season this year so far, and are busy preparing for the WA State Dance/Drill Tournament at the end of March! The team is centered around a unique "stronger as one" philosophy, which has influenced much of their Military routine this year. 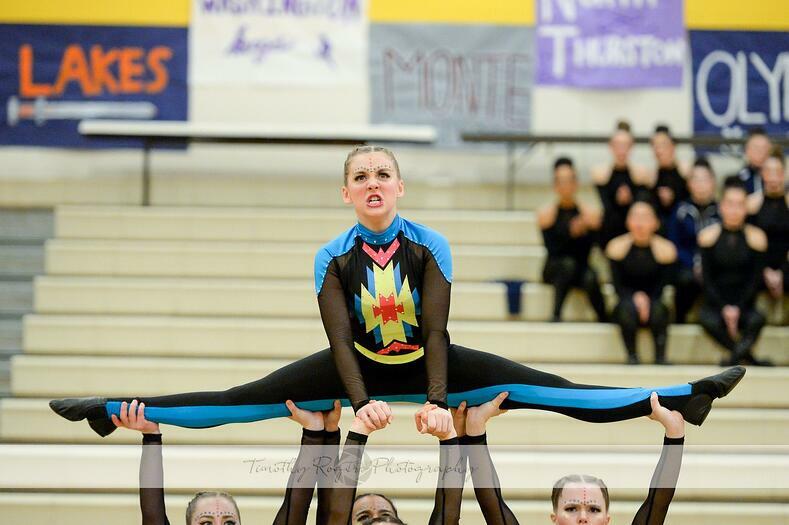 The inspiration behind their routine came from that strong concept of teamwork, and translated into "our tribe." "We wanted the concept built around the bonds we have created as a team and the challenges we face throughout our competition year," coach Jaci explained. "We just started building the concept from there." 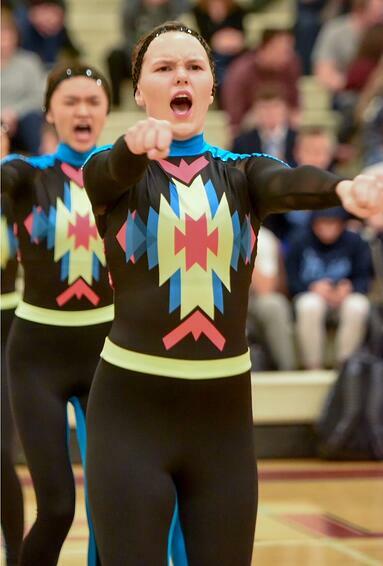 To pull the theme together, the Cougarettes had two things in mind: "We knew we wanted to wear bright colors and have an Aztec print to tie in the Tribe theme," said Coach Jaci. "It turned out exactly how we imagined it!" A custom pattern was created for the team, and printed onto fabric using a technique called sublimation. "We wanted to work within their budget and still create a one of a kind look," the costume designer, Emily, told us. 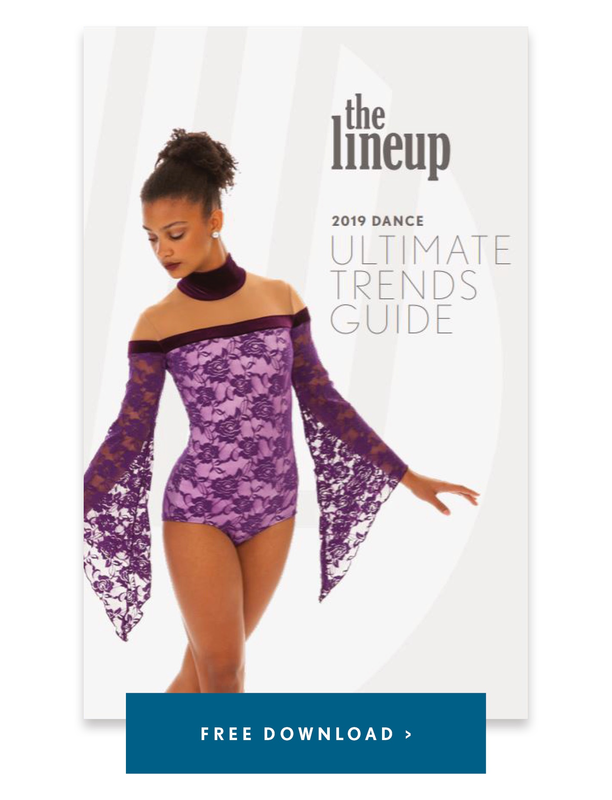 "We knew the bright colors were important to them, so we sublimated the bright Aztec print on the front of the costume." It was a great budget friendly option, in lieu of a more traditional (and laborious) cut and sew technique! 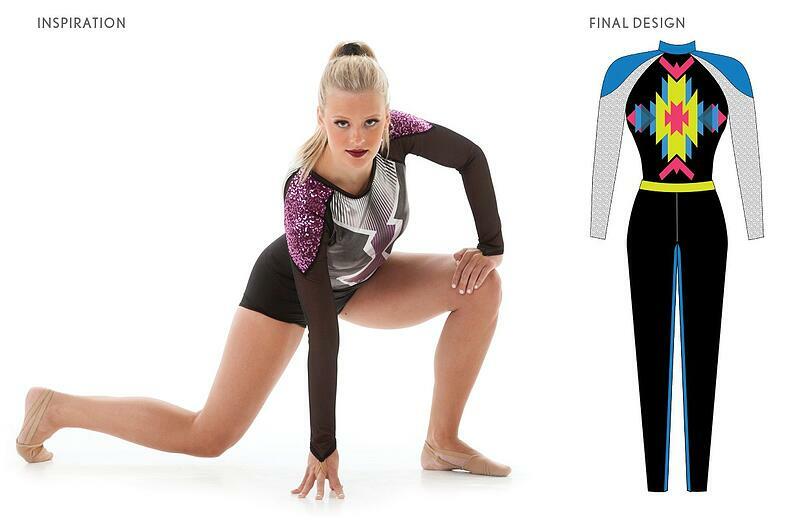 The team incorporated two other unique elements as well: strong shoulders and a stripe on the inside of the legs. 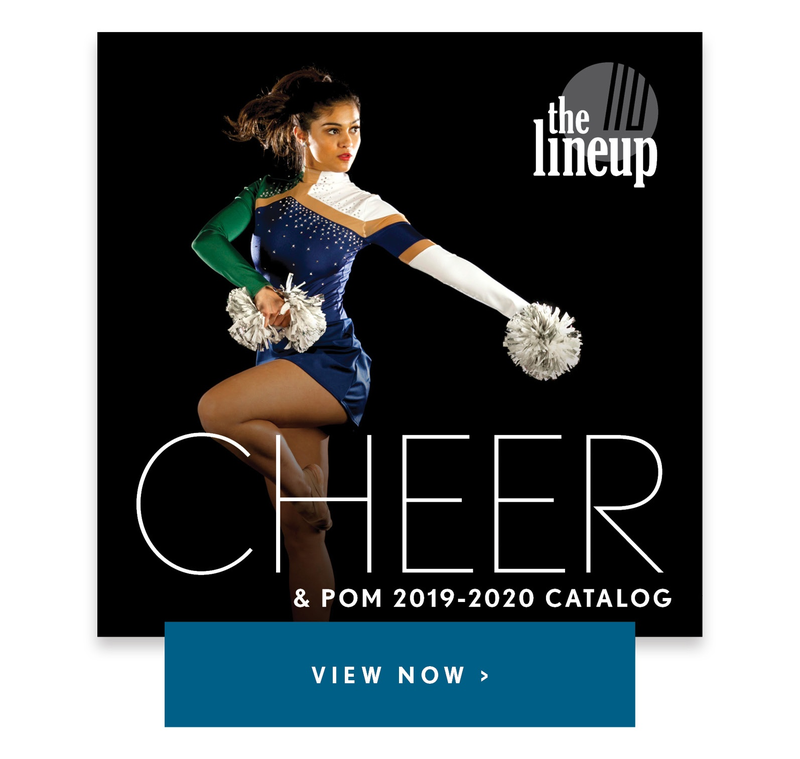 "We all loved the pop of blue on the shoulders of the costume, inspired by our online style Zinzi [below]," said Allison, the team's account manager at The Line Up. The bright blue stripe on the inside leg highlighted their lines and kicks, too! 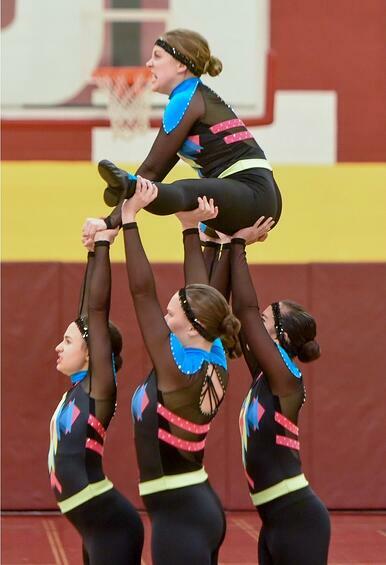 Check out more Q & A with the Capital Cougarettes Dance Team below! This year our music is Game of Survival. We mixed it with some tribal beats. We tell the story of our tribe. Are we the hunter or are we the prey? We will survive as ONE TRIBE! 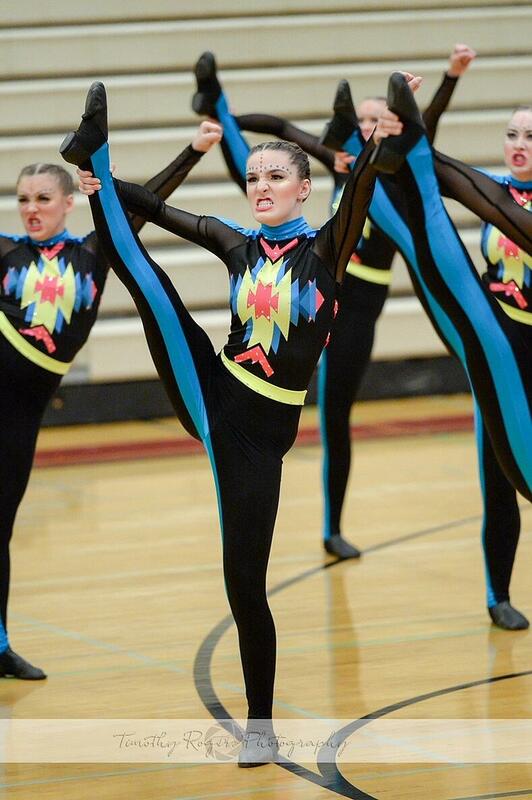 We don’t have a lot of trained dancers on our team. We believe that if you want to learn and work hard, you are welcome! Everything we do, we do together! I think every year, we are most excited for State in March. We have so many traditions and fun things that we do. It’s what we work all year for. It’s the moment our year wraps up. We love Camp, Football Games, Basketball Games and Competitions. However, nothing compares to hearing “Good Luck, Ladies! Your music is on!” Under the bright lights of the Sundome. Our biggest challenge has been the injuries we’ve had to work though this year. We’ve had to adjust our game plan and pull up alternates. This, however, has given everyone an opportunity to step up and grow and to create moments of greatness.